Commenting in the January 1973 issue of Monthly Review on the declining condition of the U.S. economy, Paul Sweezy brought back the question of “secular stagnation,” first advanced by Keynes’s leading follower Alvin Hansen in the late 1930s. “The U.S. economy,” Sweezy wrote, in an article entitled “Notes on the U.S. Situation at the End of 1972,” “is experiencing at one and the same time a cyclical boom and secular stagnation.” The resurfacing of stagnation, he suggested, was the product in part of the U.S. attempt to unwind from the Vietnam War, which had previously been lifting the economy. This was a time of widespread student antiwar protests and the growing influence of radical and anti-capitalist thought, particularly among the younger generation of economists for whom Baran and Sweezy’s Monopoly Capital (1966), which had declared that “the normal state of the monopoly capitalist economy is stagnation,” was a major inspiration (108). We are almost forty years into the Age of Keynes. I believe that Luxemburg and Lenin (and Hobson and Alvin Hansen) were right to worry about the sustainability of full employment in William McKinley’s balanced-budget laissez-faire. However, not a single mixed economy has had any problem these last thirty years with chronic insufficiency of purchasing power. (Go down the list: the United States, Britain, France, Japan, Germany, little Belgium). Nor in the century to come—1973–2073—will the ancient scourge of intermittent-shortage-of-purchasing power reoccur in the old form. (“What about recession and stagflation, professor? Don’t deny they still happen!” Of course they do. And in 1983 or 2013 they may still occur to plague the mixed economy. But Sweezy and Bowles know what Lenin and Luxemburg couldn’t know—that the disease of cost-push inflation which is involved in stagflation has nought to do with insufficiency of domestic markets, and cold- or hot-war escapades can do nothing to make it better). Samuelson went on to argue that military spending and wars were no longer needed to stimulate the economy, as Keynesian economists knew how to manage it on a peacetime basis, virtually guaranteeing rapid economic growth. The new economic ideas of Keynes and his disciples have been translated into policy with almost unprecedented speed…. In every advanced country the post-World War II economic record is like that of a new economy. Sophisticated radical economists, such as Paul Baran and Paul Sweezy, quickly recognized that the Keynesian solution would work but argued that in a capitalist system the government could spend enough to insure full employment only on socially wasteful and destructive ends, such as war and preparation for war. Socially constructive spending would necessarily compete with and eventually undermine the private sector…. [Yet] it has been found possible, over the last decade, to achieve a much higher level of government spending on social purposes and to decrease defense spending at least relatively…. There is little reason, therefore, to accept the Baran-Sweezy version of the unemployment contradiction though perhaps it is too soon to regard it as definitely controverted. 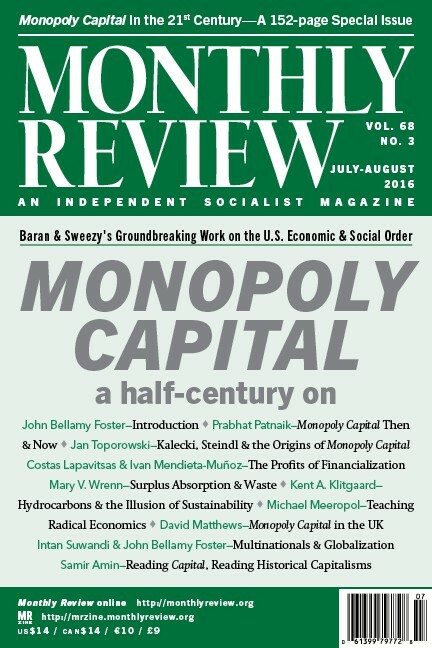 The following year, Leonard Silk, a member of the board of editors of the New York Times and its main economic columnist, brought out a book entitled Capitalism: The Moving Target, consisting of the articles in the “Capitalism, for Better or Worse” series, and a few other pieces, including one by Sweezy. Silk here acknowledged the New York Times‘s refusal to allow Sweezy to reply, and offered him the opportunity for a rebuttal here. Sweezy’s contribution to the book, entitled “Capitalism, for Worse,” also appeared in Monthly Review in February 1974. Sweezy responded to those he referred to as his “Keynesian friends” (Sweezy had been on good terms with Samuelson when they were both at Harvard in the 1930s, and was well acquainted with Arrow) by pointing out—based on research that he had conducted with Harry Magdoff—that if the increase in the share of military-related employment in 1970 compared with 1938 were eliminated, the U.S. economy would have real unemployment (including underemployment) levels equal to those of the Great Depression. The much celebrated successes of Keynesian economics had been heavily dependent on military spending. Confronted with Samuelson’s contention that the next century would be one of unmitigated prosperity, and that secular stagnation would be as unknown in 2013 as it was irrelevant in 1973—together with Arrow’s contention that Keynesianism had largely overcome the specter of unemployment—Sweezy begged to differ. “The real question,” he wrote, “to which economists ought to address themselves, but consistently refuse to do so, is why capitalism in the twentieth century has such a powerful tendency to stagnation that it requires increasingly massive forms of public and private waste to keep itself going at all.” Here again, Sweezy urged a return to the question of secular stagnation. No straightforward answers to these questions are likely to be forthcoming. Nevertheless, all of this highlights that Monthly Review and Monthly Review Press were the main outlets for serious discussion of secular stagnation in the 1970s—and in the decades since. What Summers himself knew of all of this is uncertain—to us anyway. But his two uncles were part of the debate on the question of stagnation that reemerged, however briefly, in the early 1970s, and were adamant in opposing Sweezy on that score. Summers, if he is aware of this at all, now believes his famous uncles were wrong, and Sweezy was right. Monthly Review and Monthly Review Press had a major presence at Left Forum, held May 20–22 at John Jay College of Criminal Justice in New York. Editors and friends of the magazine led panels on “Imperialism in the Twenty-First Century” (John Bellamy Foster, Hannah Holleman, Roxanne Dunbar-Ortiz, John Smith, and Intan Suwandi); “Ecosocialism: What Is It and How Do We Get There?” (Hannah Holleman, Fred Magdoff, and Chris Williams); “Richard Levins and the Dialectics of Nature and Society” (Brett Clark, John Bellamy Foster, Tamara Awerbuch Friedlander, and Martha Livingston); and two panels on the work of István Mészáros (Irv Kurki, Kim Koo, Anne Pomeroy, and Mario Rendon). John Smith presented ideas from his book Imperialism in the Twenty-First Century, the first winner of the Paul M. Sweezy-Paul A. Baran Memorial Award. We enjoyed reconnecting with many MR associates and subscribers. On May 5, both climate activist Naomi Klein and MR editor John Bellamy Foster were in Dublin, speaking at different venues on the environmental crisis. Foster delivered the Burns Sisters Lecture, sponsored by Maynooth University and named after Mary Burns and Lizzie Burns, partners of Engels and devoted Fenians. The Irish Times published a report on the two talks, under the headline “Naomi Klein Argues that Climate Change Is a Battle Between Capitalism and the Planet,” which may interest MR readers: http://irishtimes.com.